There are nearly seven million smart meters already installed in homes but if, like us, you haven't received your new smart meter yet then don't worry – millions more are being installed by energy suppliers over the coming months and years so fingers crossed that it won't be long. I'm actually a bit jealous as my Nan already has one and I love checking it out when I go to see her. 1. Almost everyone (97 per cent) of the adult population of Great Britain is aware of smart meters. 2. Nearly half (49 per cent) of those who haven’t got a smart meter yet would like to get one in the next six months - That's me!!! 3. Eight in ten (80 per cent) of people with a smart meter have taken at least one step to reduce their energy use. 4. Almost three quarters (74 per cent) of people with an IHD check it at least once a month, and 37 per cent of people with an IHD check it daily. 5. Almost eight in ten (76 per cent) of people with a smart meter would recommend one to others. 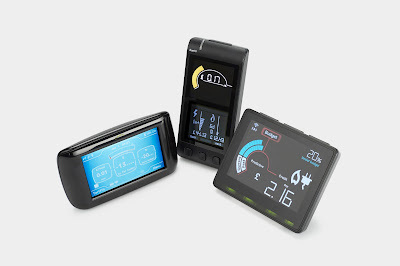 So I think it is safe to say that people are loving their smart meters and why wouldn't they? Smart meters bring an end to estimated bills and show people what they’re spending in near real time and in pounds and pence, via an IHD and are installed by energy suppliers at no extra cost. I can't wait to receive mine (come on Co-Op Energy...get a wiggle on!!) and look forward to see the next lot of research to see if even more people are oving the smart meters.